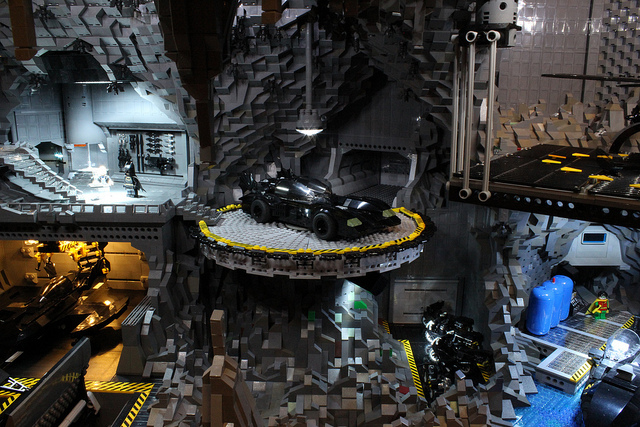 At the 2012 Emerald City Comicon, the two LEGO builders Carlyle Livingston II and Wayne Hussey both showed off their collaborative love for Batman with an incredible Batcave that they built out of LEGO bricks. 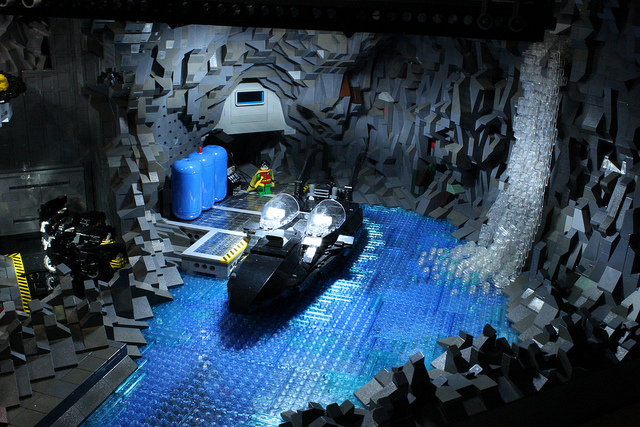 According to Brothers Brick, the cave was built out of over 20,000 individual parts. 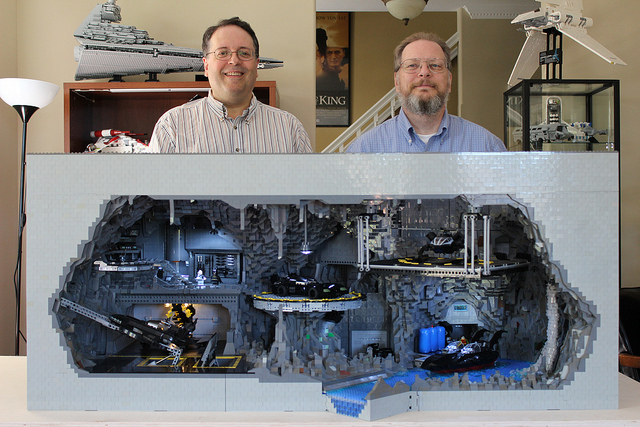 Carlyle (pictured below on the left) and Wayne (pictured on the right) put in more than 800 hours in over twelve weeks into the build and the piece weighs over 100 pounds. 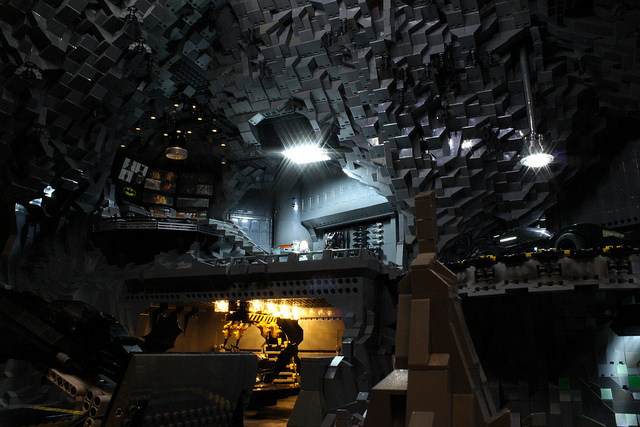 The entire cave is lit up from one battery that was wired to many different LED Christmas and flash lights. 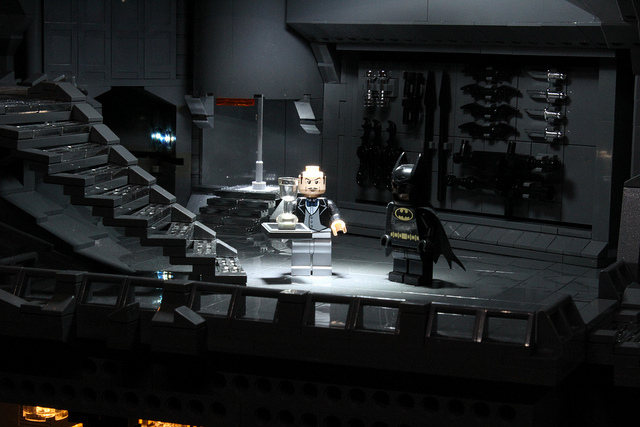 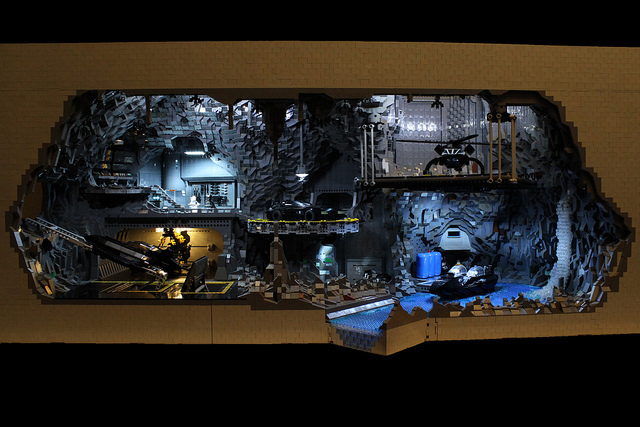 You can watch a two part video tour of the LEGO Batcave shot by Carlyle on his iPhone at the bottom of the post. 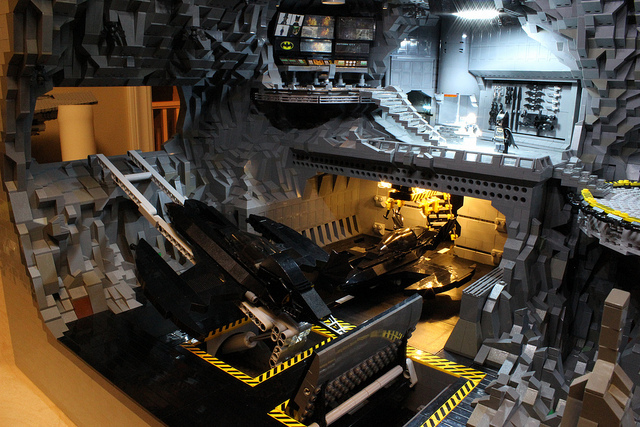 More process and finalized photos can be viewed at Carlyle’s Flickr page.